* Dress * Belt * Headpiece * Brand new. Item Sizing: The size guide found below is specific to the costume in this listing. Other costumes may have different sizing patterns. For example, company A's size medium may be equivalent to company B's size large. Be sure to check the size chart closely to make sure you know what you are ordering. The list below may indicate that more than one size fits you. 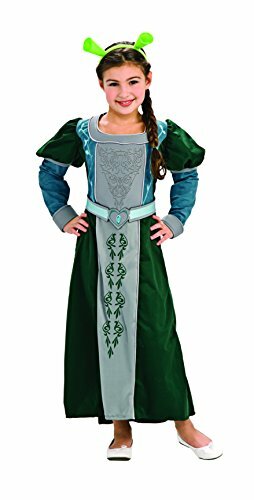 If you are unsure of which size to choose, then go with the larger size because these costumes may tend to run small.Measurements are stated in inches.Size One Size | Chest 29-34 | Waist 23-27 | Height 50-54Size Toddler | Chest 23-24 | Waist 22-24 | Height 35-39Size Small | Chest 27-28 | Waist 25-26 | Height 44-48Size Medium | Chest 29-32 | Waist 27-30 | Height 50-54Size Large | Chest 35-39 | Waist 31-34 | Height 56-60Item Color(s): This item's color(s) may vary due to inherent variations manufacturing dye application or your computer monitor's color settings. 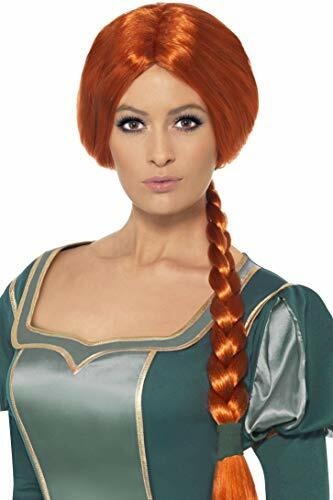 Complete your costume with the shrek princess fiona wig. Ideal for ladies. It'll transform your appearance. Officially licensed wig from the hit movie, shrek. Who says ogre's aren't cute. 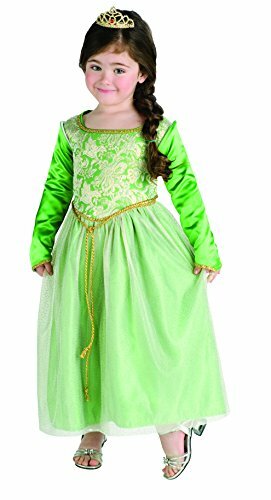 Our baby Princess Fiona outfit is just that! 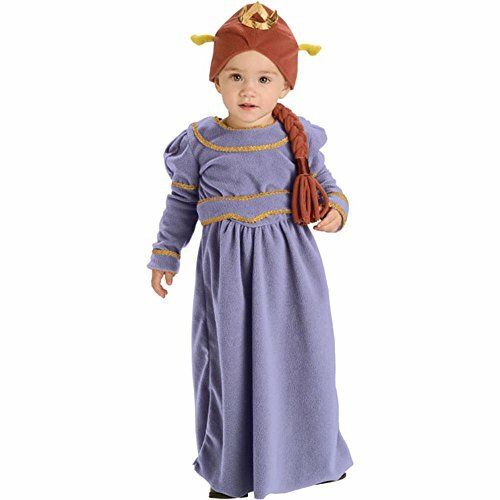 Your little princess will receive all the attention this halloween in this cute baby Fiona costume. 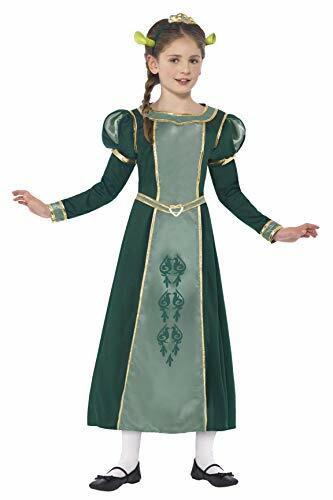 Be sure to also check out our adult Shrek and Fiona costumes for mom and dad. 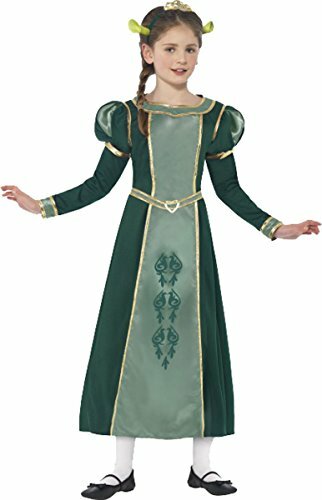 http://www.squidoo.com/ChildPrincessFiona-HalloweenCostume Child Princess Fiona Halloween Costumes. It's time again to pick that precious Halloween Costume for your Little Girl. Fall in love with a favorite princess Fiona from Shrek the Movie.